Recreation opportunities are a fundamental service most citizens demand from their municipal governments today and with increased recreational facilities come, inevitably, increased risk of injury to our most vulnerable citizens. Our “Injury Prevention” report looks at some of the preventative measures local governments can take to reduce injuries in youth, seniors and even in our own workplaces. 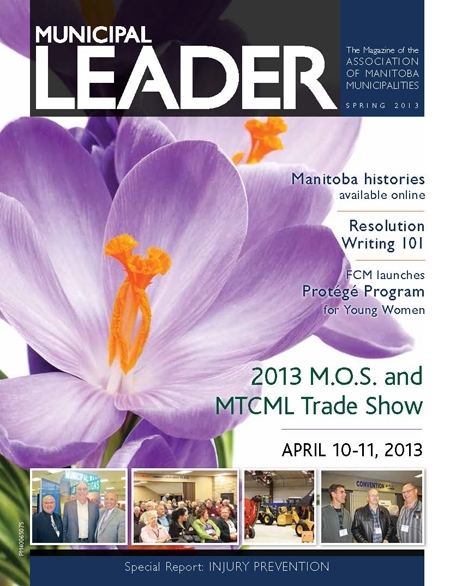 With spring also comes the Municipal Officials Seminar and MTCML Trade Show at the Keystone Centre in Brandon. The issue has all the highlights of this exciting event, plus much more.